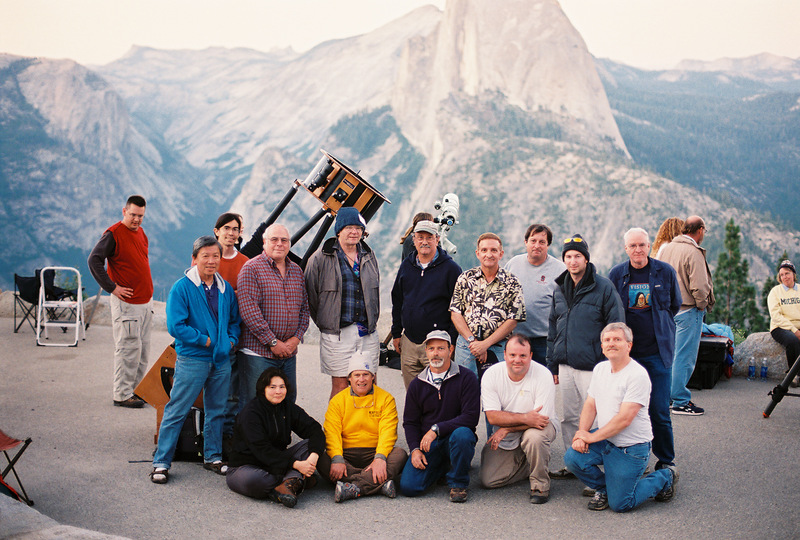 This year the SJAA had its annual Yosemite public star party on the July 4th weekend at Glacier point. The sky was a little hazy from the many wild fires around the state, but wasn’t too bad. There were few minor clouds threatening off on the horizon, but it was clear for us. We had two good nights with dark rich skies. There weren’t that many of the public there this year, probably because it being a national holiday and all. But we had a respectable attendance of scopes for those who did show up. The views through Michael’s big 22” Dobsonian were especially nice. In the photo above, the group is setting up, waiting for it to get dark. 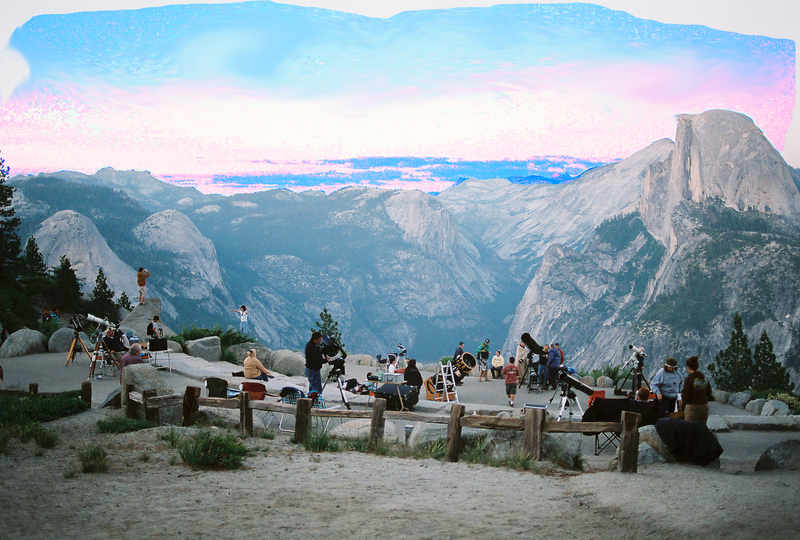 This is the wonderful view we get from the Glacier Point amphitheater. Even without the astronomy, it’s worth the drive up there.